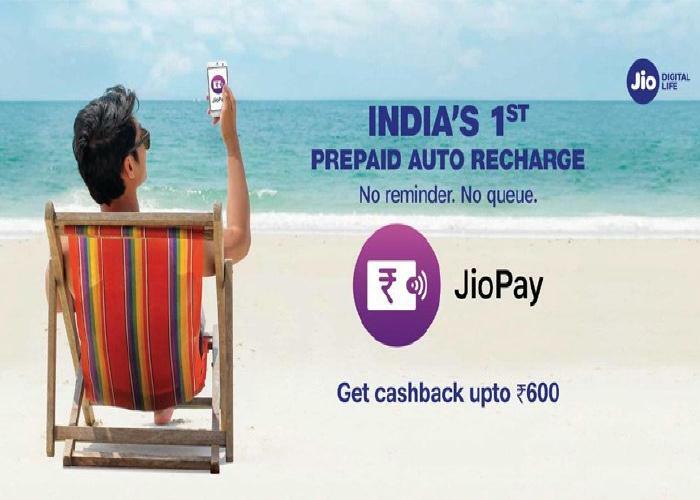 Jio has recently launched India’s first prepaid Jio auto recharge for Jio customers. Now there is no need for any sort of reminder for doing recharge. Jio AutoPay service is very easy to use and manage. Once you have setup the Jio AutoPay service than you will be able to enjoy uninterrupted Jio services. Then Reliance Jio also providing cashback up to rupees 600, for using Jio prepaid auto recharge service. Cashback of rupees 600 will be given in the form of 12 redeemable e-vouchers of rupees 50 each on successful registration with Jio AutoPay with denomination prepaid plans of rupees 309 or above plans from 10th Jan 2018 onwards. Download MyJio App and install it. 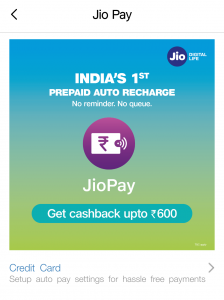 Open MyJio App and click on the JioPay banner. Click on Credit Card and auto pay setting. Then JioAuto Pay recharges option. Provide your Jio mobile number; accept the terms and conditions and then click on continue option. Select the Jio plan which you want to enable auto-recharge. After, selecting your favorite Jio plan click on continue option. Now click on credit card and then enter your credit card number, name on the card, date of expiry and CVV number. Click on I Agree and then finally click on the pay option. Now Jio will deduct rupees 2 from your bank account to verify your account. Once rupees 2 successfully deducted from your account then Jio prepaid auto recharge is successfully setup. Open MyJio App and go to My Plans. Then click on the required option. If you finding it difficult to do then call Jio customer care calling 198 or 199 from your Jio number and 1800-889-9999 from other numbers and ask them for the help.